In 2015 retailers across the United States will be upgrading checkout technology to accommodate new payment cards. The new cards, with ‘chip and pin’ technology, are not swiped through a checkout machine. Instead they are inserted into point of sale devices and held there during the transaction. Customers must also use a PIN — personal identification number — during the transaction. The upgrade is an opportunity for retailers across the country to eliminate an access barrier that has plagued blind shoppers for a decade: flat screen machines that don’t allow customers to independently enter their PIN if they can’t see the screen. The upgraded cards are designed to increase security and prevent fraud. But there is no security at all if a shopper has to divulge her PIN to a store clerk to complete a purchase. 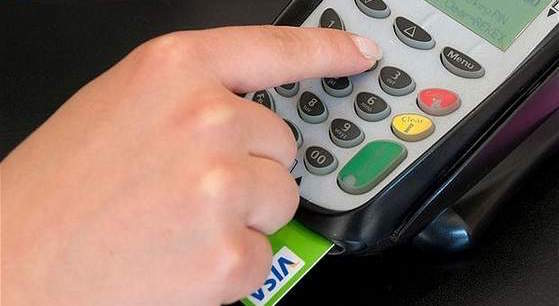 To avoid blind people being forced to share confidential information, devices that accept the new chip and PIN must have tactile keypads that can be felt. A raised dot on the five key, a standard telephone keypad arrangement, and raised symbols on the function keys will enable blind shoppers to privately and independently enter their PIN on the device. Read more about the new Chip and Pin cards. Read the Full Statement of Interest Filed by the Department of Justice in the Lucky Jeans POS case. Many national retailers have participated in Structured Negotiations on the issue of point of sale devices and the need for tactile keypads. Structured Negotiations is a collaborative dispute resolution process that operates outside the litigation system. Target, CVS, Walmart and Staples are among the companies that worked with the American Council of the Blind, its California affiliate, and the American Foundation of the Blind in Structured Negotiations about their POS devices. These companies recognized the importance of checkout technology that everyone can use. It is important to remember that tactile keypads do not make a device fully accessible to blind customers. Machines won’t be accessible until all features and functions can be performed independently, and because of this, staff training is critical. But confidentially entering the PIN is important not just for access, but for financial privacy, confidentiality and security. Let 2015 be the year when flat screen devices are once and for all removed from the retail landscape. In 2015 stores in the United States will be getting new checkout devices. The new machines will work with a new type of payment card called a chip and pin card. Nobody should have to tell anyone else their personal identification number (PIN) when shopping. All retailers should have point of sale machines with real keys people can feel. That way blind people can enter their own PIN without help.